Work started the week of April 18 and will be completed in November 2016. 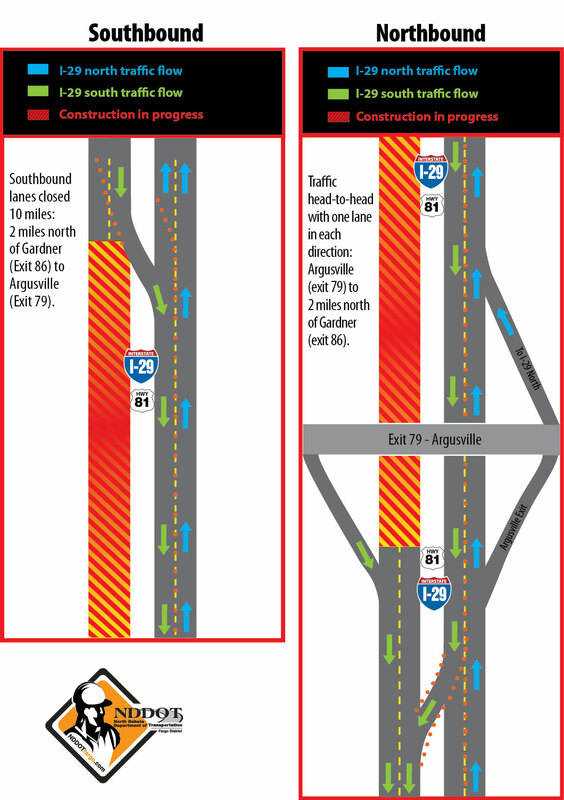 The work zone is the southbound lanes from Argusville (exit 79) to two miles north of Gardner interchange (exit 86). 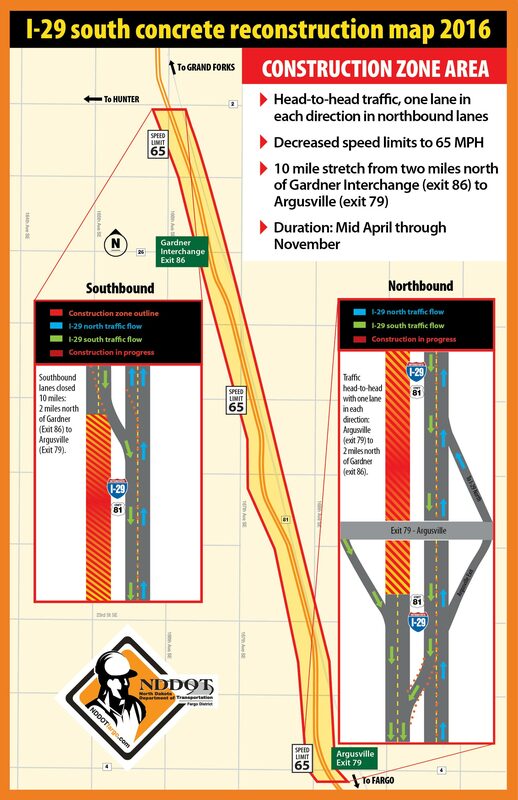 Crews will be reconstructing 10 miles of southbound I-29, which will include completely removing the current roadway and installing 7- 8 box culverts through the work zone. The northbound lanes in this same stretch were reconstructed last construction season. To date, crews have performed preventive maintenance initiatives like seal coats, mill and overlays, and replaced areas of deteriorating concrete to this section of roadway throughout its 45-year life span. The roadway has lived past its life expectancy. The project is funded by 90% federal funds, and 10% state funds.